Heat pumps come in several different types. In today’s post, All Seasons Inc., one of the top local heating and air conditioning companies, focuses on two of the popular ones—geothermal and air-source heat pumps. Geothermal heat pumps utilize heat coming from the ground. Underground pipes absorb energy several feet below the earth’s surface. The refrigerant extracts that heat, which then undergoes the reverse of the refrigeration cycle in which it condenses back to its liquid form. The heat, which is fed to the equipment throughout said process, gets dispersed indoors through air ducts or single blower units. Meanwhile, air-source heat pumps do exactly what the name implies—they “harvest” heat from outdoor air. A familiar heat pump type among furnace companies and homeowners alike, they use a free-standing unit to pump air into the system. They’re available in single-zone or multi-zone configurations, with or without ducts. Regardless of which type you choose, these heat pumps generate heat without expending too much energy. Using external sources of heat makes them very efficient, which means they’ll both contribute to helping you achieve better energy savings. Before making a decision, however, there is something you should consider. While geothermal heat pumps offer more in terms of efficiency, installation costs may add up, given that digging underneath your property is required. If you’re looking for something less costly to install, the air-source heat pump is the way to go. 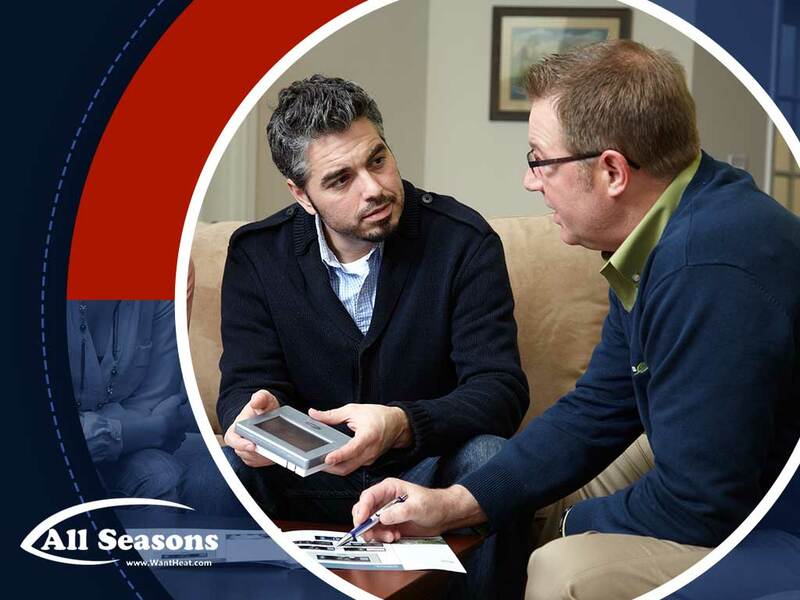 Turn to All Seasons, Inc. for help making the right decision for your HVAC investment. Apart from our heating and cooling services, we also offer electrical panel replacements. As one of the premier electric panel companies in the area, we’re ready to help you provide for your electrical needs. Give us a call at (253) 203-6200 to get started. You may also fill out our contact form to request a free, no-obligation consultation. We serve residents of Tacoma, WA.